If you are a gardener you must have faced or even currently facing the problem of insect infestation in your garden. Organic gardeners also face the challenge of protecting their plants from bugs and other insects without using any chemicals. One of the possible solutions to this problem is to use bug-repelling plants in your garden. Plants discharge different substances that have unique properties. With the help of these substances, they can attract or repel insects. So some plants may look amazingly beautiful to us it can threaten some insects. This serves a dual purpose. You can not only use these plants to decorate your garden but also use them as a replacement of chemical pesticides. 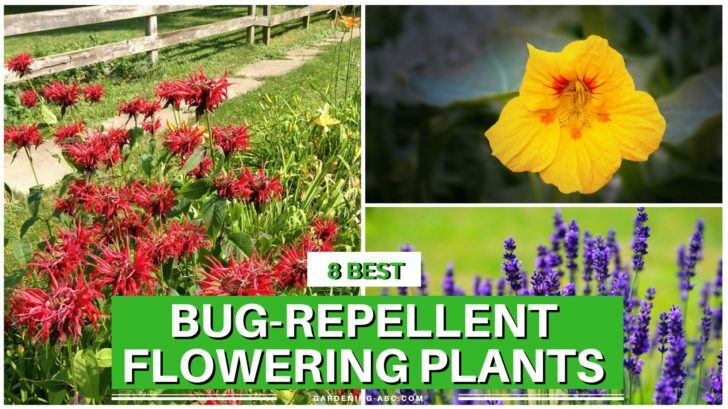 In this article, I am sharing 8 such plants that repel pests and also have beautiful flowers to decorate your garden. Chrysanthemums, is no doubt have gorgeous looking flowers. But what’s more amazing is they also have a compound name pyrethrum that repels insects. Chrysanthemums are very effective against a number of pests. Some of the common examples are Mosquitoes, beetles, and spider mites. I am a big fan of marigold flowers. Besides their beautiful look, these flowers can be a great asset to your garden because of their amazing ability to fight harmful insects. Their scent confuses some insects and helps to keep annoying aphids, snails, Bean beetles, mosquitoes and even rabbits away. Marigold also have nematode protection capabilities. The best way to use marigold is, at the end of the season, when you should chop the plant and mix them with soil. This will prevent nematodes from nesting in the soil. No matter how much the beautiful fragrant smell of lavender attract us, flies, moths and other harmful insects really hate it. Putting a small bouquet of the dried lavender flower near your bed can even remove the need for another repellent. People also use this flower as effective clothes protector. Next on the list is mesmerizing Petunias. If you provide them a place where they can get enough sunlight, they will deter bugs, beetles, leaf-hooper, and aphids besides giving your garden an amazing look. This beautiful flowering plant is also a useful plant for repelling bugs. Nasturtium works best with tomatoes. It repels dangerous whiteflies. Also aphids, beetles, and squash bugs. They also work great with cabbages. The cabbage loopers, prefer to lay its eggs on the nasturtium, therefore, your cabbage will be safe. Ageratum is a very good option for keeping mosquitoes at bay. Bee balm (Monarda fistulosa) is a beautiful looking perennial plant. Due to the presence of essential oils, it repels mosquitoes. The best way to use bee balm is to grind its leaves and use the mixture. Alliums are a flowering form of onions and garlic. They repel a wide range of insects, such as slugs, cabbage worms, carrot flies and aphids. Allium is also a very good companion plant for potatoes, cabbage, tomatoes, carrots, peppers, and roses.